Vital Registration issues certified copies of birth, death, fetal death and marriage certificates. These certificates are primia facia evidence of the event. 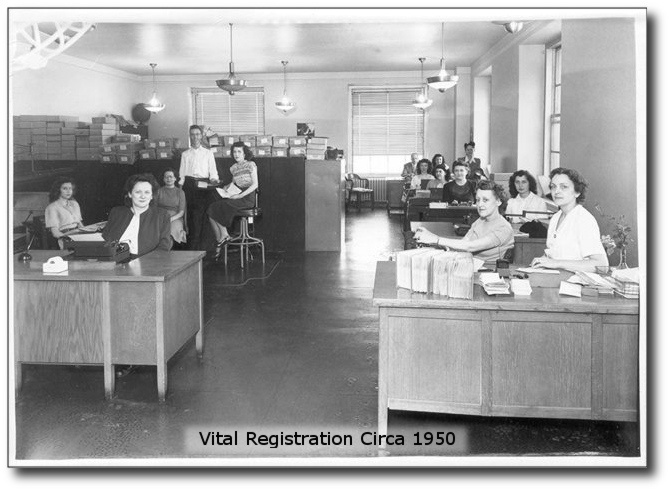 The state office of Vital Registration was created in 1917. Before this, counties recorded this information. Vital Registration is headed by the state Registrar, Gary Thompson, and the deputy State Registrar, Brandy Byrnside. Registration places the incoming birth and death certificates on file after checking the forms for completeness. Registration also processes all corrections to death certificates on file less than on year and fills requests for certified copies of death certificates for new death certificates from funeral homes. Registration also processes all paternity affidavits that are filed along with birth certificates. Does some additional checks, codes the ICD10 cause of death codes and the Industry and Occupation codes on the death certificates. Keys information into the master databases from the vital records. Scans all vital records including some administrative files. Maintains the over 9.5 million images of certificates in the imaging system. Corrections handles corrections and amendments to vital records. 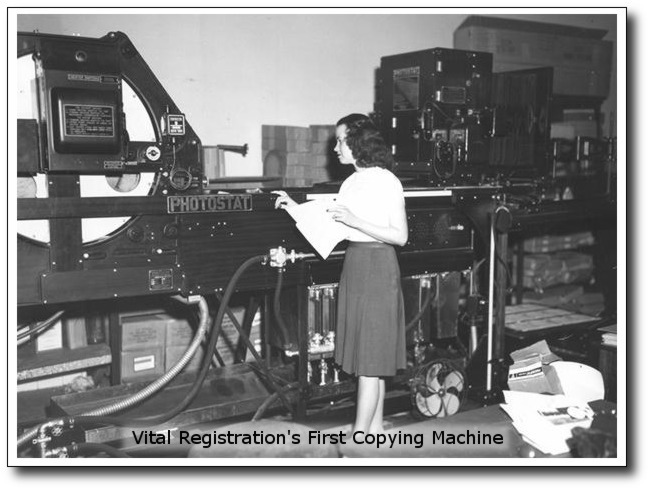 Makes certified copies of vital records and produces the Heirloom (or Heritage) birth certificates. Together, Vital Registration processes about 20,000 births, 20,000 deaths, 13,000 marriages, 9,000 divorces, and 5,000 paternity affidavits each year.